In Russia where is a lot of snow in the winter (but not this year!) 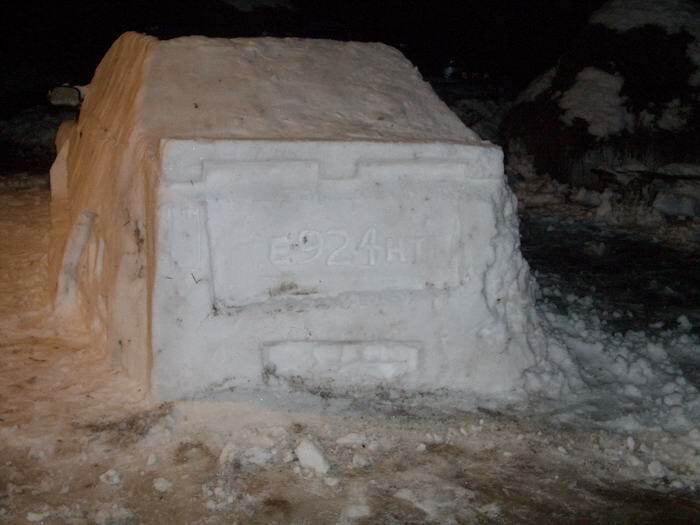 people can tune their cars using snow. 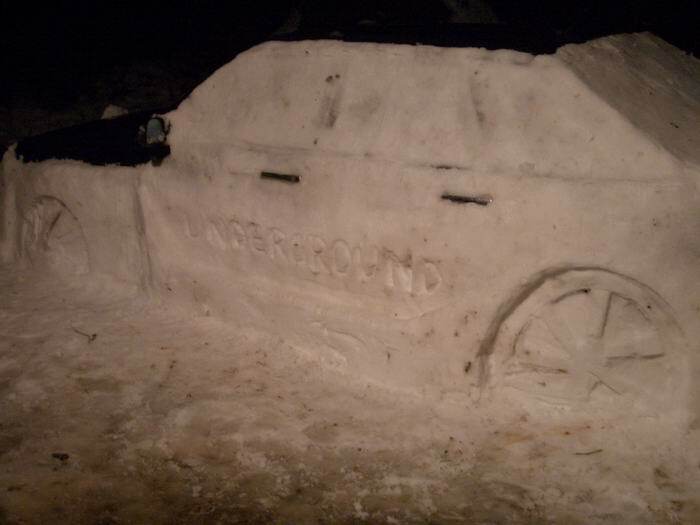 Those guys take the lonely standing car and make a live snow monument of it. Don’t know if they put some water on it after the job is done to make it more stable. It’s very old photos, because this year there’s no snow in Russia at all, maybe in nothern Siberia only.